Tomorrow night the big show will begin. Two teams, one who has never been in the WNBA finals before while one has two championships and three conference titles during their 18-year existence will clash heads in this best-of-five series. Seattle may have all of the experience heading into this series but let’s not overlook the Washington Mystics who have been having their best season in franchise history with a 22-12 record, tying the team’s best record in franchise history from the 2010 season. 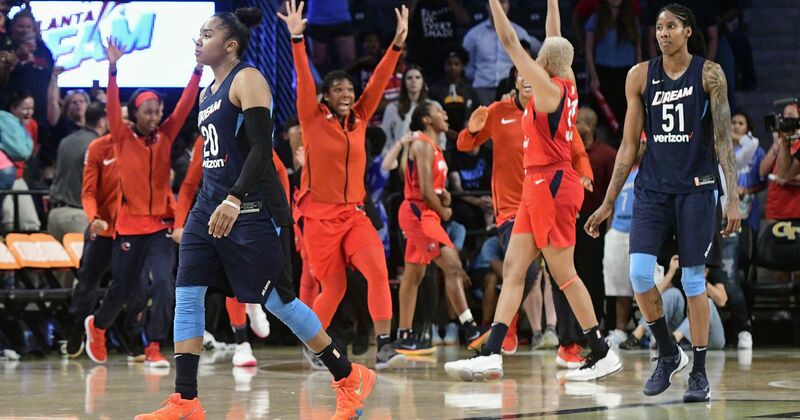 They’ve also had the most success they’ve ever had in the playoffs as it’s been the first time in franchise history that the Mystics have gotten past the WNBA semifinals so to say that they’re a pushover or an underdog may be too critical. The last time the Washington Mystics were in the playoffs, they got swept by the Minnesota Lynx. For the Washington Mystics, they have to take at least one of these first two games in Seattle. It won’t be easy as Seattle possess a very young team that only consists of a few veterans such as Sue Bird, who was on the 2004 and 2010 championship teams as well as Crystal Langhorne and Natasha Howard. They also have the current WNBA MVP, Breanna Stewart. Overall, the Washington Mystics actually possess the more experienced team in this series. Players like Kristi Toliver, who has a WNBA championship on her pedigree back when she was with the LA Sparks in 2016 will help this team in their attempt to win the WNBA championship. The Mystics also face the challenge of having to play in a roaring Seattle crowd that has seen their team reach the pinnacle many times before. However, the Mystics have a great chance of taking this series. For starters, Elena Delle Donne no matter how healthy she is can be one of the biggest threats a team has to face. Her dual threat of being excellent in the post and also having a deadly three-point shot allows other players to get open and contribute when their name is called. 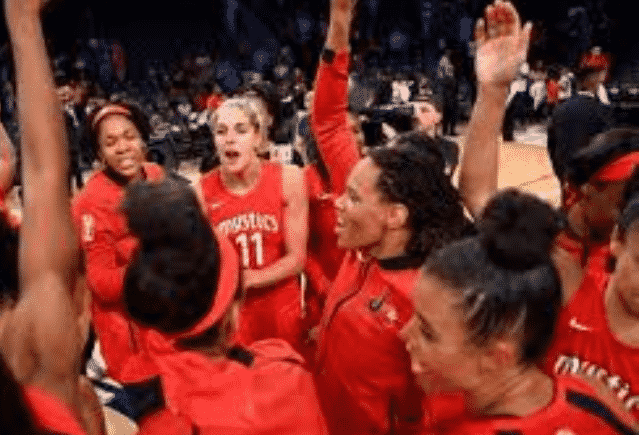 The Mystics must continue to make their free throws as a team as it’s helped them towards the end of games and the one time they missed a free throw with the game on the line, it came back to hurt them. Lastly, the Mystics have to do a good job of defending in the final two minutes. Don’t get me wrong, they must be able to get a stop at any point in the game but the Mystics have been in too many close games where it comes down to one lack of concentration or one open player in the corner that decides a game. In the games where the Mystics haven’t been able to play exceptional defense in the final couple of minutes, it’s cost them as it did in both games 2 and 3 against the Atlanta Dream. Mystics players celebrating that they are in the WNBA Finals. I would be exaggerating if I said the Washington Mystics were the heavy favorites going into this series. I expect it to be a pound-for-pound, fight ’till the end, heavyweight fight type of series where both teams are so evenly matched that it’s tough to decide who the clear favorite is. There’s a lot in common with both teams. Both teams have had their star player get injured with fans fearing the worst, only for them to come back and be almost as productive as they were before the injury. For Seattle’s case it was Sue Bird when she left Game 4 of Seattle’s semifinal series with a broken nose. For the Mystics case, it was Elena Delle Donne who left Game 3 of their series against the Atlanta Dream with a hyperextended knee and thanks to a lot of treatment that happened over the two off-days prior to Game 4, Delle Donne played through the injury and still was able to combine for 29 points and 21 rebounds over the final two games of the series. Both teams also played tough 5-game series to get here so they know how to play in do-or-die situations. However, I think the Washington Mystics have enough to pull off the DC sports trifecta. Let’s make it happen ladies!